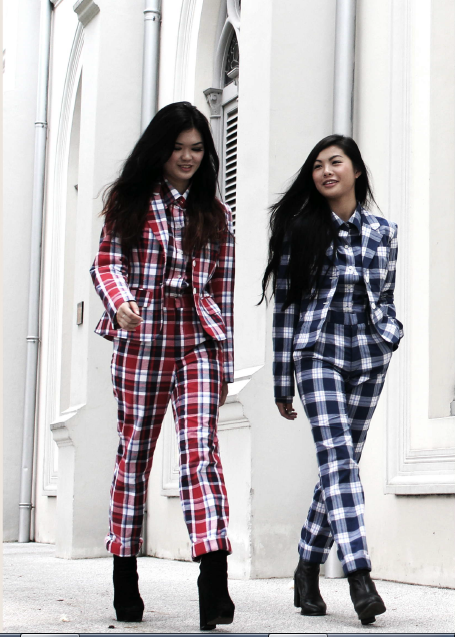 Bonjour Singapore: Fashion blog with a focus on Asia: Quirky and edgy Singapore label? AMEN to that! Fully checked, menswear-inspired suits which would need someone quirky like Nicole to pull it all off, to easy-to-wear jumpsuits and draped dresses which look so effortless in contrast to the suits. 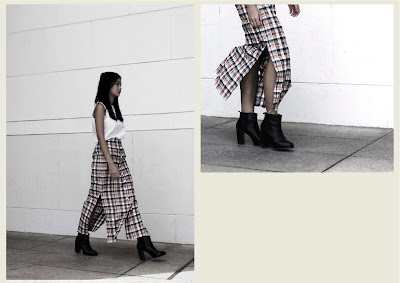 The whole collection has a very androgynous feel to it and the choice of fabric - especially the orange checked one from which a pair of shorts and a maxi skirt are made – is very interesting to make it somehow original and gives it a little vintage feel with a modern edge. here but who cares... they look cool! 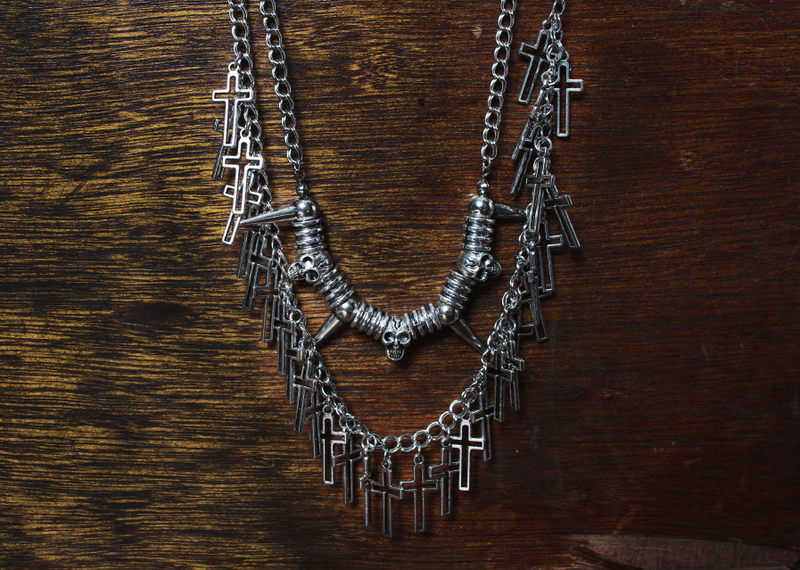 While the FEMME collection is definitely not for the faint-hearted, the accessories are much more generic in that sense. They are edgy but understated enough to blend in even with the most basic outfit. My favourite is the turquoise necklace with the small silver skulls – hardly visible but very interesting combination. 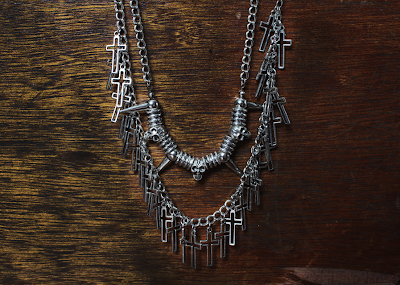 and makes this necklace just edgy enough for everyday outfits. As a first collection of the duo, I’d say it was definitely refreshing and great to see someone taking on a very different approach to clothing, starting from their beliefs, inspirations, and personal style. And with someone with so much statement style like Nicole and Clinton, you never know what to expect, you just know it’s never going to be boring. AMEN is having a pop up space in Blackmarket no2, Orchard Central, for the whole month of June.